The San Tour Guide Association (SPTGA) held a general meeting at the Lions Den in San Pedro on Thursday, June 29th. 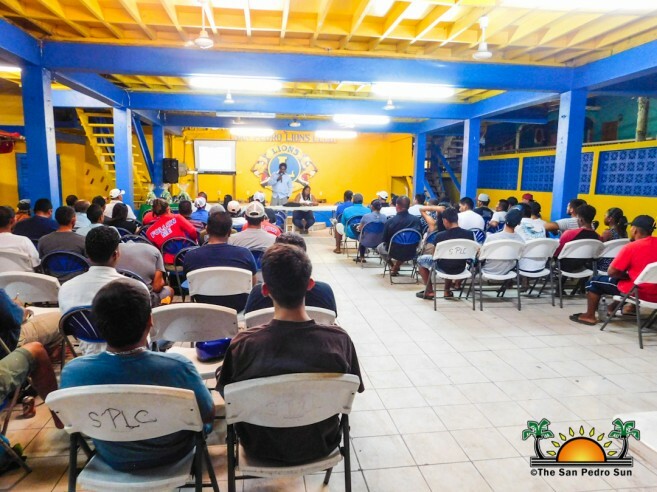 The meeting saw the attendance of various island tour guides who were informed of the necessary guidelines to follow in order to obtain their tour guide license renewals before deadline on Friday, July 31st. Shortly after 7PM, SPTGA President Billy Leslie led the meeting by sharing information about Rickilee Response & Rescue (Triple R Response), a 501-3(c) charitable organization that operates on Ambergris Caye and was formed in memory of Rickilee Mercer by Traci and Jim Curtin. Mercer, an American National, was found dead on the leeward coast of Ambergris Caye on March 1, 2017. She was reported missing on February 28, 2017, after she had gone jet skiing around the area of Secret Beach. In June 2017, the Curtins initiated the Triple R Response program in hopes of organizing a program that coordinates community resources to respond to water emergencies. “This organization is made up of volunteers who have the desire for there to be a better water response team that will react in a timely and efficient way to emergencies,” he said. Leslie invited everyone to join and be part of the water emergency rescue team. He then called on members of the Social Security Board to give a short presentation of what their organization is all about and why it is important for persons to be insured. This followed an informative presentation by Martin Rivas, Romi Rancheran and Melanie Bradley from the Belize Tourism Board (BTB), who explained all the documents needed for the renewal of tour guide licenses. “To renew your tour guide license you will have to submit a copy of your social security card, police record, first aid CPR certificate and a passport sized picture stamped by a Justice of the Peace, along with your application,” said Rivas. A short presentation by the Development Finance Corporation ended the meeting. The SPTGA would like to thank everyone who attended, and they further encourage all tour guides to not wait until Friday July, 31st to fill out their application. A license application can be obtained at the BTB office on Barrier Reef Drive. For more information, comments, concerns, or suggestions, you can call Leslie at 610-3507.